Really fantastic write-up! I hope I can make it there someday. The pork belly thing looks out of this world. I enjoyed reading your reflections very much. Thank you. Sadly, I've never had a meal that left me speechless. So, yeah, that's part of my unfinished business. I know where it will be, have no clue when. More unfinished business: to beome facile at cooking. I started my "learn to cook" path when you start FLAH, but I'm still awkward in the kitchen, and for the most part, dependent on recipes. I want to understand techniques and flavors well enough to go beyond recipes. I've sometimes heard cooking equated wth dancing. I'm still counting my steps, my goal being to float efforlessly. I'll get there. I've eaten at Incanto in San Francisco twice and have been absolutely blown away both times. Chris Cosentino has a reputation for daring offal dishes, and I was not dissapointed with that, but absolutely everything that came out of his kitchen - including the simple things like the pasta and the pork shoulder - was done perfectly. Purely in terms of the food, Incanto stands out as probably my favorite restaurant. I only wish I lived closer. I also recently had the opportunity to eat a meal by guest chef Marcus Samuelsson at Frasca in Boulder, Colorado. While Chef Samuelsson's food was really tasty and interesting, what stood out at Frasca was their absolute attention to detail with service and beverages. The wine pairings from Bobby Stuckey were probably the first time I've ever had food and wine pairing where they absolutely nailed it so that the interplay of flavors enhanced both the food and the wine. In terms of unfinished business, I recently expanded my vegetable garden to the point where we (my wife and I) may have more produce than we can eat ourselves this year, so we're looking into some organizations in Denver that work with home gardeners to provide food to people in need. Growing Colorado Kids (http://www.growingcolorado.org/) helps refugee children and also benefits the SAME Cafe (a pay-what-you-can restaurant). I confess I don't remember which restaurant meal this was, exactly; it was early in my "adult" life after college, which is still a blur to me. What I do remember is the clear distinction between what it was like to enjoy food before that meal, and after it. It's interesting that this awakening implies a sharp discontinuity in how I appreciated food, but I don't recall the experience that created that discontinuity. What I do know is that I'm much richer for how I experience dining now. Service, pacing, whimsy, and especially that alchemy of how things combine on a plate into a more amazing whole. Tasting things on the plate one at a time, then combined, and trying to understand the difference. Seriously stewarding my own knowledge of ingredients and cooking (albenghini beans vs. tondini beans? pull out the smartphone and look them up!). Slowing down, and treating food as a great experience in life, not just a way to become not hungry. Lots and lots of people don't get how we can spend SO much money for a meal; I think they must not think about dining in the same way, and it makes me a little sad for them. On the other hand, we all have our pleasures and they don't all have to be the same. Unfinished business? Flying. I've had my pilot's license for over twenty years, and yet too often go for years without getting in a plane. This pisses me off, because I daydream about flying constantly, desperately yearn to improve my skills, further my ratings, turn it into the great transportation privilege that it is. I've gotten 3/4ths of the way to the Instrument Rating twice now, only to give up. "Life happened," as my flight instructor put it. Unfinished business. I just got back into the pilot's seat last weekend, determined to re-acquire skills and then continue on. Your words in this post about luck, and privilege, and pleasure being about desire and inclination, will help inspire me to keep at it. I'm not sure that anything renders me at a loss for words (just ask my family)! But there have been individual dishes over the years that moved me to close my eyes and savor what I was tasting - and probably making a mmmm sound. There's a lot of unfinished business. I want another big vegetable garden some day (which involves moving to a different house) and fruit trees and bushes and maybe even some chickens. I want to learn more about what my digital camera and I can do. I want to write more because it gives me pleasure. Same with cooking. I'm not going for sublime or crazy. I just want to keep learning. Just got back from NOLA. Had great dinners. Two items were just fantastic. Dinner at Cuvee, the amuse was a teaspoon with some duck mousse topped with a pickled mushroom. Hub's had his first and I asked him what it was like. He said try it I'm not going to tell you. OMG! It was fantastic, WOW! We just looked at each other. The other was fried soft shell crab at Gallatoires. My first bite awesome - perfect, buttery, salty, crunchy, yum. We were very disappointed at Cochon. The service was not good and our oyster appetizer was cold, how can chargrilled oyster be cold? We left and decided to stop at Emerils. It was not on our list, you know to much of a "chain" restaurant. Well surprise, surprise. The service was great and the food was wonderful. My unfinished business in the kitchen - 40 cookbooks and counting but not really focusing on any one. I hate that I do that. We were there in March (our 4th visit - sigh) and Chef Achatz himself plated the chocolate dessert on the table. I was awestruck, gobsmacked and close to tears. We have vowed to go every year (we live in Canada) and now that the bar and next restaurant are opening... oh my! Carol- you are my lunch "treat"- if there is a post I will close my door and enjoy every word over my veggies and some kind of protein unit. If you have not posted- then I go over and see what Michael has to say. Take all the time you want to do this "right"!! There is a little place up in the north woods of Wisconsin called "The Outdoorsmen". Steve and Amy Wheeler work magic there. My most memorable meal was a warm fall evening several years ago- it was nice enough to sit on the screen porch. We all had the phesant confit in a light cream sauce with mushrooms/carrots/peas over a bow tie pasta. There was just a hint of tarragon. Putz and I go there at least several times a season to try what new and innovative things they come up with! My unfinished business is to get ahold of some pheseants and confit them! First, I just want to say that it's your blog and your project, so you should do whatever you darn well please - of course we all love when you post more often, but I do prefer the occasional thoughtful/cooking posts you do to daily short/boring posts like some bloggers do when they don't have much time. I will say that one thing I LOVE is reading about how you adapted Alinea recipes, and/or what you did with the leftovers. I feel like that's one of the things that I (and maybe even you) have learned through this and the French Laundry project - that when foods taste good together, there are tons of ways you can mix up the preparation itself to suit the occasion. Not that those posts take a whole lot less time than the Alinea recipe posts themselves, but my guess is they take a little less time, if for no other reason that the cooking project is often quicker. For me it was having a vegan GF macaroni and cheese for the first time after over a year of not having pasta (in my "sick years" I ate pasta almost every day.) I felt as though a long lost friend had come back from the dead. Luckily for me, I can now get this whenever I need my fix at a great local Vegan GF restaurant. Anywhere that can make my dining life easy again takes away my breath. Although I have not had a memorable meal, I have had a memorable dish. And it's one I made myself. It's the blueberry soup from FL Cookbook. When I tasted it, I laughed it was so good. That the first time food has made me laugh with pleasure. I was so proud that I made it, so excited to try more things. Best dinner, pretty close to the menu you had. I've never eaten anywhere that comes close to Alinea. Unfinished Business? Figuring out how to make that curried pork belly! Please tell me you have some insight! Omakase dinner at Kihachi in Columbus, Ohio, of all places, is the most memorable of my life. Sublime freshness, intriguiung flavor combinations, unique textures, flawless execution. I am deeply indebted to Ruhlmand and Columbus' own Restaurant Widow for the tip. Truly exceptional. As for unfinished business, I'm still planning a four course French Laundry feast. Your recommendation of a strawberry dish will provide dessert in the champagne and strawberry terrine, Ruhlman says I have to do one of the butter poached lobster dishes, so lobster with beets and leeks will be the star. From there, I'm looking at starting with either Bacon and Eggs, Cauliflower Panna Cotta, or English Pea Soup with White Truffle Oil and Parm Crisps. Then on to the lobster, perhaps a cheese course ("Caesar Salad" or Roquefort Trifle with French Butter Pear Relish), and then the terrine for dessert. What do you think? Best meal? The dinner we had the night my hubby and I were first married. We got married in the morning and drove several hours to the Ritz-Carlton on Amelia Island. The dinner from that night was simply amazing. Of course, it may have had something to do with how HAPPY we both were but really ... the meal was fabulous. my husband and i have reservations at alinea for tomorrow night. it's our first visit and i can't think about it too often because i start to feel a little misty. i'm so excited. i have SO MUCH unfinished business. at the top of the list i need to figure out what really makes me happy at work... with work... do i work? Great post carol, although I didn't read much of it because we will be in Chicago in two weeks eating at Alinea ourselves and I didn't want to spoil the surprises. 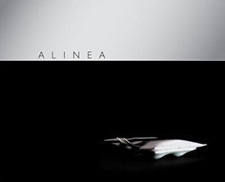 I can't wait for the Alinea experience.